After a very close final between Denmark and the home team of Italy. 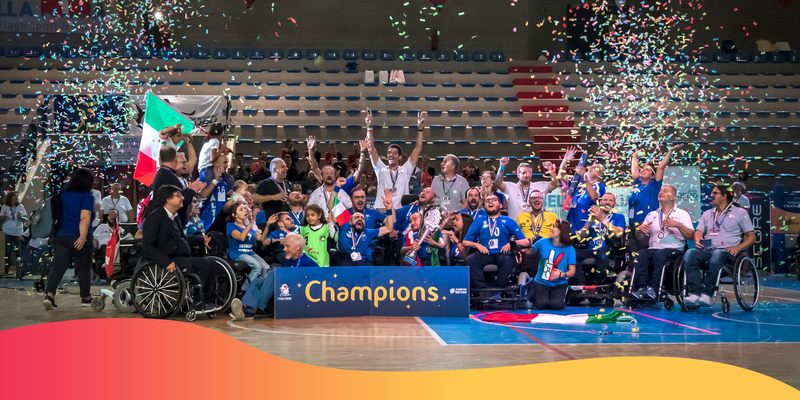 We would like to congratulate Italy with the 2018 IPCH World Championship! It has been a tournament #asneverbefore in many ways. We have experienced surprising match results, extraordinary performances by athletes, loud supporters and a event as we have never seen it before. After a very close final with both extra time and penalty shootout, it ended with a win for Italians. We would also like to congratulate the Local Organizing Committee for an successful event. No Replies to "ITALY WORLD CHAMPIONS 2018"